Even though we don’t live in New Orleans, nor have I ever been there, I just love any excuse to create family memories for any holiday! 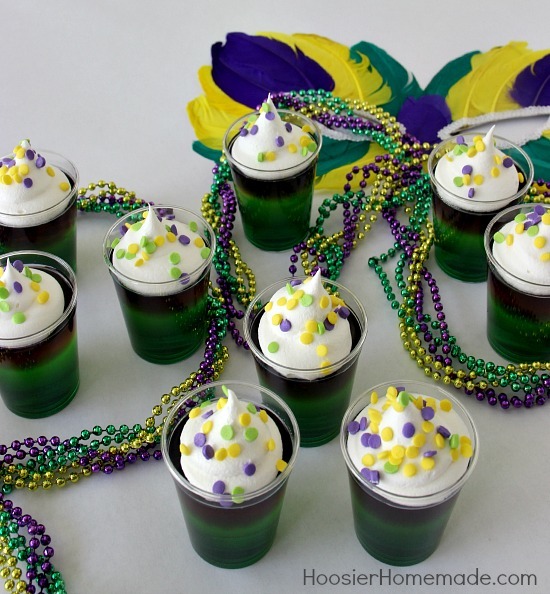 Celebrating Mardi Gras on Fat Tuesday is one of those times. 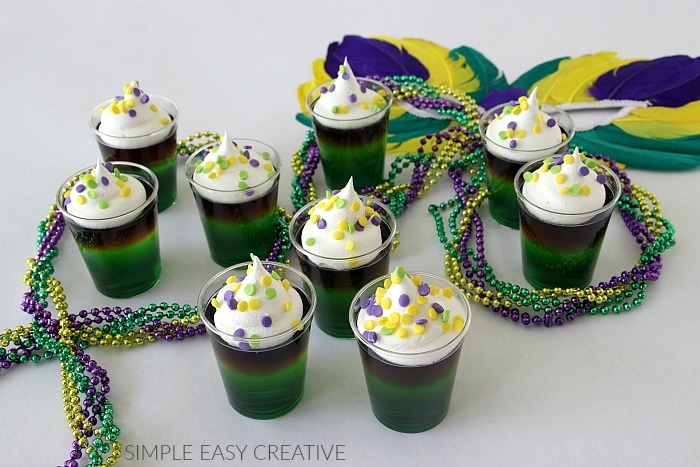 Just like the Candy Corn Jello Shots for Halloween and the Irish Jello Shots for St. Patrick’s Day, these Mardi Gras Jello Shots have layers of jello, topped with Cool Whip and a few sprinkles for color. I used confetti sprinkles. I like that they are a little larger, and look really cute on the jello shots! 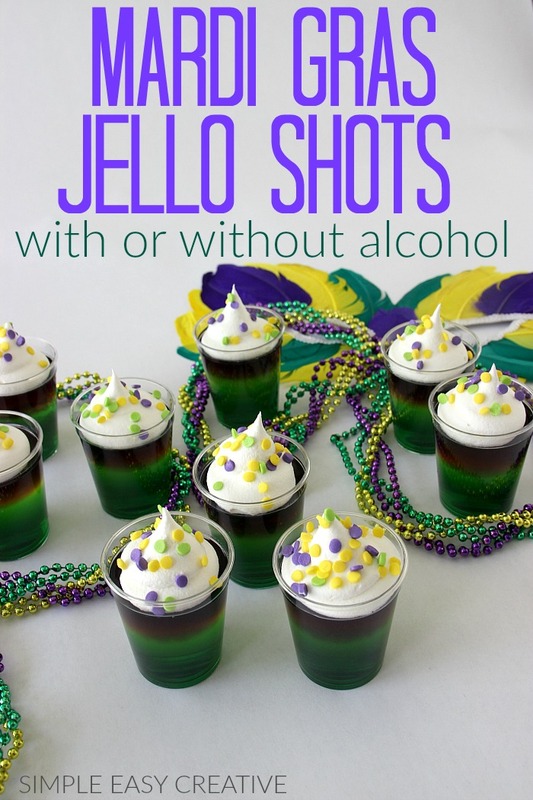 Serving the Jello Shots in 2 ounce plastic shot glasses is fun, but you can certainly use the same recipe and layer the Jello in a glass bowl. 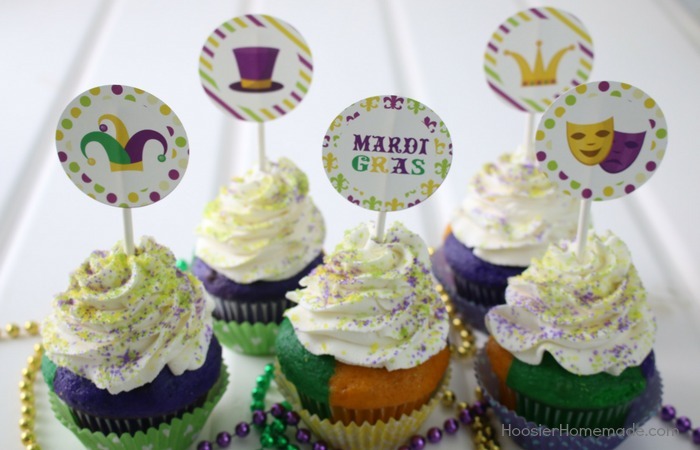 If you are hosting a Mardi Gras party, or even just a family fun night. 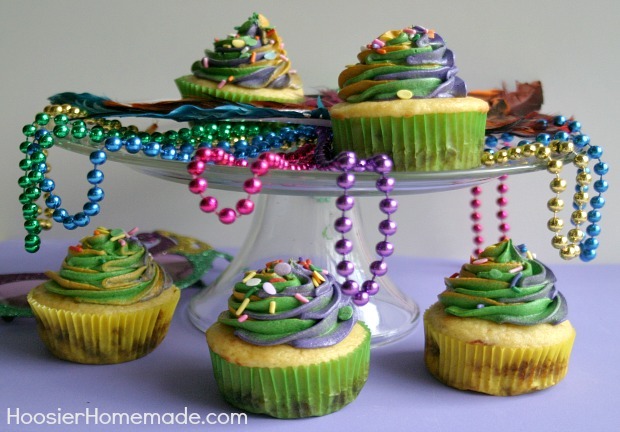 These Mardi Gras Cupcakes are perfect! I love NOLA and the food. MardismGras is just a great excuse to eat and drink all the more. I’d love it if you linked these shots to What’d You Do This Weekend. 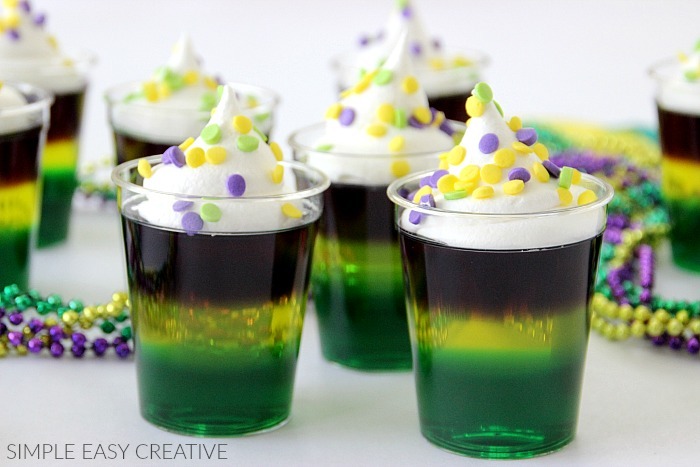 What a fun layered jello shot! I so rarely post drinks, alcoholic or nonalcoholic and I have yet to post a jello shot. I need to get on it.